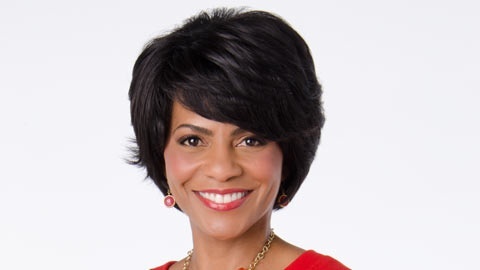 Rhonda began her broadcast career on WJBK-Fox 2 News Detroit, and joined the WDIV-Local 4 news team in 2003 as the weekday morning news anchor. In 2007, the talented and versatile journalist took a break from the morning news and held a dual position as evening co- anchor and health reporter. Before this assignment, Rhonda also held the position of noon news anchor at Local 4 and hosted and produced 4 Your Children, a dynamic and compelling segment focused on news important to both parents and children. Rhonda also provides daily newscasts on the Local 4 News website, ClickOnDetroit.com. In addition to her regular in-studio duties, Rhonda annually hosts special programming events such Local 4’s broadcasts of America’s Thanksgiving Parade and the North American International Auto Show Charity Preview. During her career, Rhonda has interviewed notable newsmakers and dignitaries including former President Bill Clinton, Michigan Gov.r Rick Snyder, former Michigan Gov. Jennifer Granholm, Michigan Senators Debbie Stabenow and Carl Levin, Detroit Mayor Dave Bing, former Detroit Mayor Dennis Archer, Sr., and former Detroit Public Schools Emergency Financial Manager Robert Bobb. In addition, Rhonda has interviewed an A-list of national and local celebrities including Anita Baker, Bill Cosby, Aretha Franklin, Stedman Graham, Alicia Keys, Holly Robinson Peete, Smokey Robinson, and Blair Underwood, just to name a few. Throughout her life, Rhonda has been committed to serving the Detroit community. She is an active member of the Renaissance Chapter of the Links, Inc., a partner with Cornerstone Schools, member of the Winning Futures Mentor Collaboration, on the Board of Trustees at Detroit Receiving Hospital and the founder and president of the Rhonda Walker Foundation, whose mission is to empower inner city teen girls toward becoming strong, confident, successful, and moral future leaders. Rhonda logs nearly 100 appearances a year as a motivational speaker, host, or volunteer with community projects. And she selflessly shares her time and enthusiasm in support of local charities and corporate outreach efforts. Rhonda is frequently recognized for her outstanding contributions and service to the community. · In 2011, Rhonda received Ambassador Magazine’s Red Seal Award for Best TV Anchor and The Metro Times Readers’ Choice Best Morning Show Personality Award. · In 2010, McDonald’s recognized Rhonda for her deep commitment to the community and for empowering teen girls through the Rhonda Walker Foundation. She also received the 2010 Community Service Award from the Ford Motor Company and Ford-Employees African-Ancestry Network, the Vanguard Award from the Detroit Young Professionals, the Rising Icon Award from Uptown Magazine, the Woman Of The Year Award from the YWCA of Western Wayne County, and the Best Female Anchor Award from the readers of Hour Detroit. · In 2009, Ambassador Magazine honored Rhonda with its prestigious Ambassador of the Year Award. She also received the Michigan Business and Professional Association’s Distinguished Leadership in Media Award. · In 2008, Rhonda received the Alternatives for Girls Role Model Award, the SCLC Broadcast TV/Media Award from the Michigan Chapter of the Southern Christian Leadership Conference, the Michigan Chronicle’s Woman of Excellence Award, the Minerva Education and Development Foundation’s Women of Courage-Women of Change Award, and the Flame of Inspiration Award from Compuware’s African American Employee Resource Group. · In 2007, Rhonda received the Sparky Anderson CATCH Foundation’s Neal K. “Doc” Fenkell Excellence in Media Award, the Excellence in Mentoring Award from 100 Black Men of Greater Detroit, Inc., the Winning Futures Community Involvement Award, the Metro Detroit Mentor Collaboration Mentor of the Year Award, the Salvation Army Distinguished Service Award, the Detroit Fire Department Community Service Award, the National Association of Black Women’s Community Involvement Award, the Black Women Contracting Best Mentorship Award, the Jack and Jill of America, Inc. Legacy and Philanthropy Award, Life Directions’ Mary Ball Advocacy Media Award, the Franklin Wright Settlement Spirit of Giving Award, and the R.A.R.E. Foundation’s R.A.R.E. Award, which is given to everyday heroes who make a significant contribution in their field of work. Rhonda was also nominated for an Athena Award in 2007. On a lighter note, Rhonda has been consistently recognized for her trendsetting fashion. Rhonda has the distinction of being the six-time, consecutive winner of Hour Detroit’s Best Dressed Female Award, having taken that honor for 2006, 2007, 2008, 2009, 2010 and 2011. Rhonda’s style has also won her the 2011 Red Seal Award from Ambassador Magazine for Best Dressed Woman and the 2010 Best Dressed Local News Anchor Award from Real Detroit Weekly. Rhonda’s deep passion for inspiring children prompted her to establish the Rhonda Walker Foundation in 2003 to serve teen girls. In its eighth year, the RWF supports inner-city teen girls from throughout the Detroit Public School System. As a testimony to her desire to help as many teen girls as she can, Rhonda is hands-on and involved in every aspect of the RWF. She also takes a personal interest in each of the girls in the RWF, whose mission is: to empower inner-city teen girls towards becoming strong, confident, successful and moral future leaders. In her spare time, Rhonda loves to golf and enjoys traveling, shopping, and dining out with friends and family, especially during Michigan’s beautiful summers. She also loves sports and hometown teams like the Spartans, Lions, Pistons, and Tigers. Rhonda is frequently in attendance at collegiate and professional football, basketball, and baseball games.